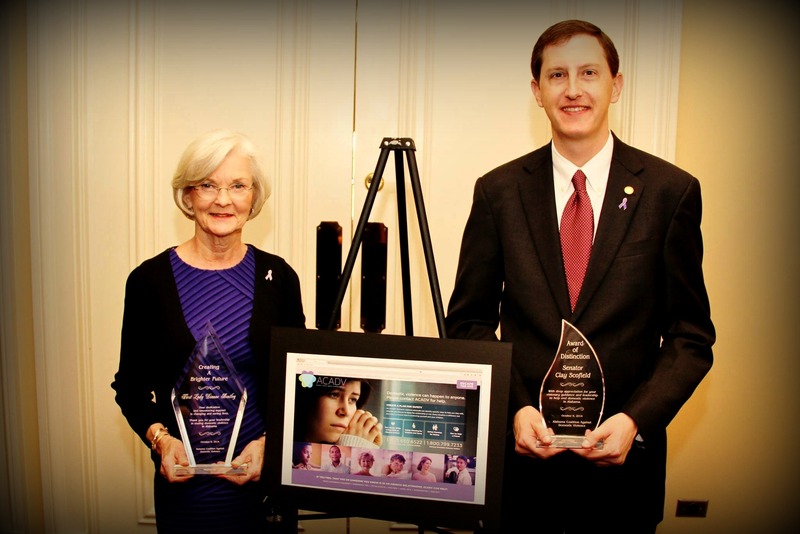 Guntersville - Senator Clay Scofield received the Award of Distinction from the Alabama Coalition Against Domestic Violence (ACADV) at a fundraising luncheon for the organization in Montgomery on Thursday. Scofield was the sponsor of Kelly’s Law which he passed earlier this year. The law makes it a capital offense to kill someone with a protection from abuse order in place. The Domestic Violence Hotline number is 1-800-650-6522.